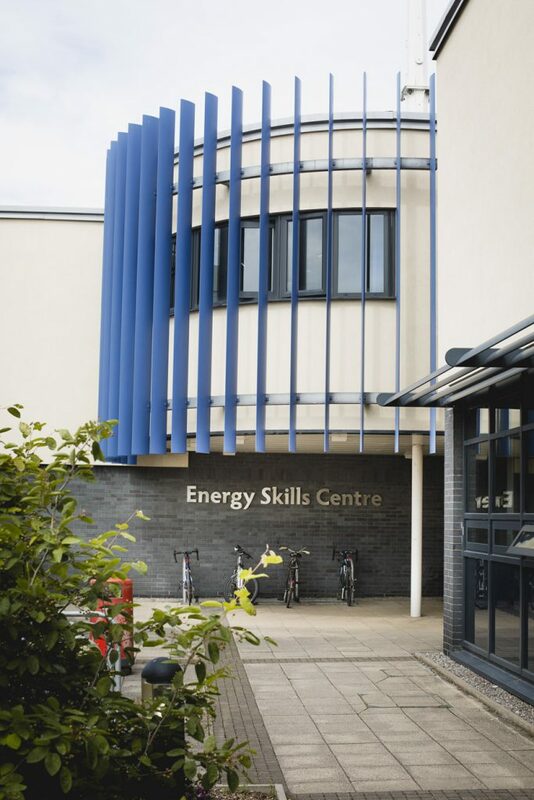 The Energy Skills Centre at Bridgwater & Taunton College was officially opened by the Secretary of State for Energy and Climate Change in 2011. It houses engineering subjects as well as science, low carbon and nuclear related education and training. It has an engineering workshop and a welding and fabrication workshop, labs for instrumentation and control, computer aided design, electrical and electronics, engineering maintenance, CNC manufacturing, materials testing and a science lab. On the roof there is an outdoor training area with a 6kW wind turbine, photovoltaic panels and other green technologies. The Centre has been funded and is supported by many high profile parties; these include EDF Energy, the Nuclear Decommissioning Authority and the National Skills Academy (Nuclear). Further industry support has been provided in the form of sponsorship from EnergySolutions and the Kier Group. Sedgemoor District Council has also supported the project through the donation of the land on which the Centre is built.